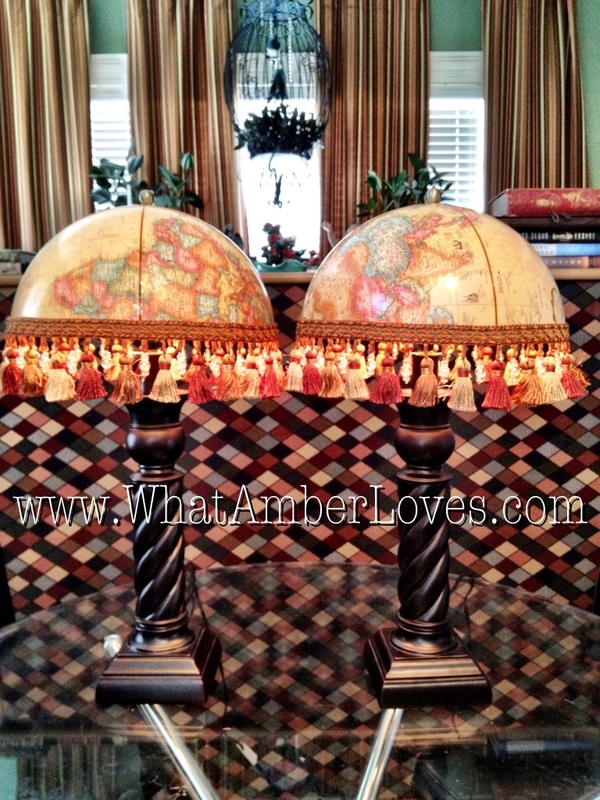 Vintage Globe into New Lampshades! 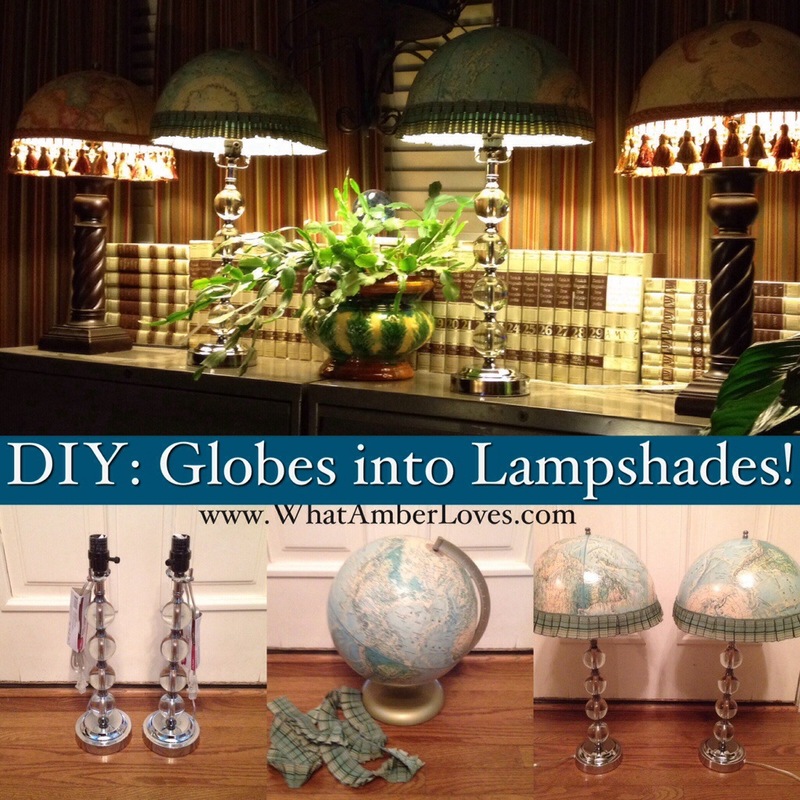 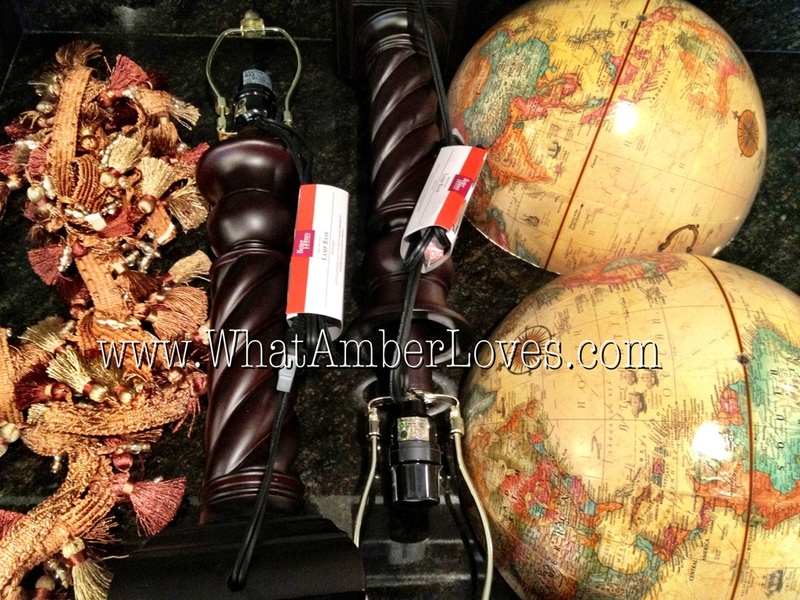 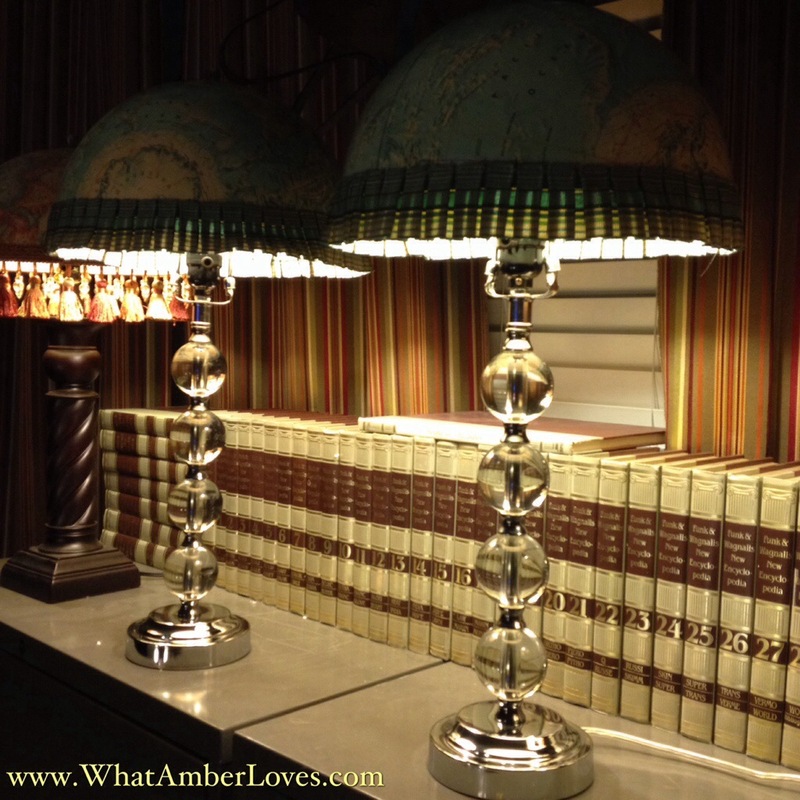 Easily turn a vintage globe into a new pair of lampshades! 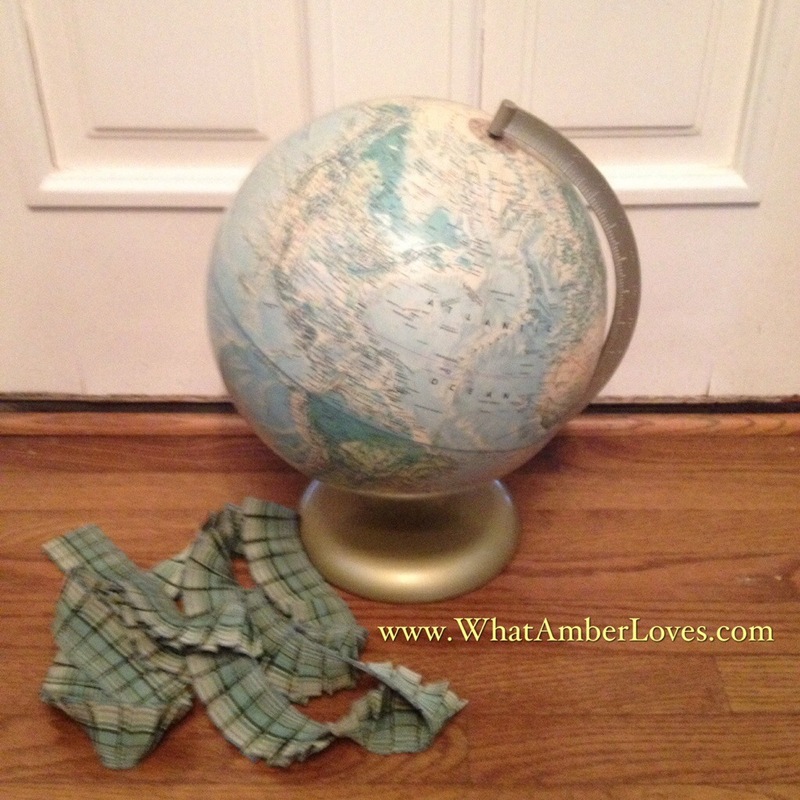 Just saw the globe in half. 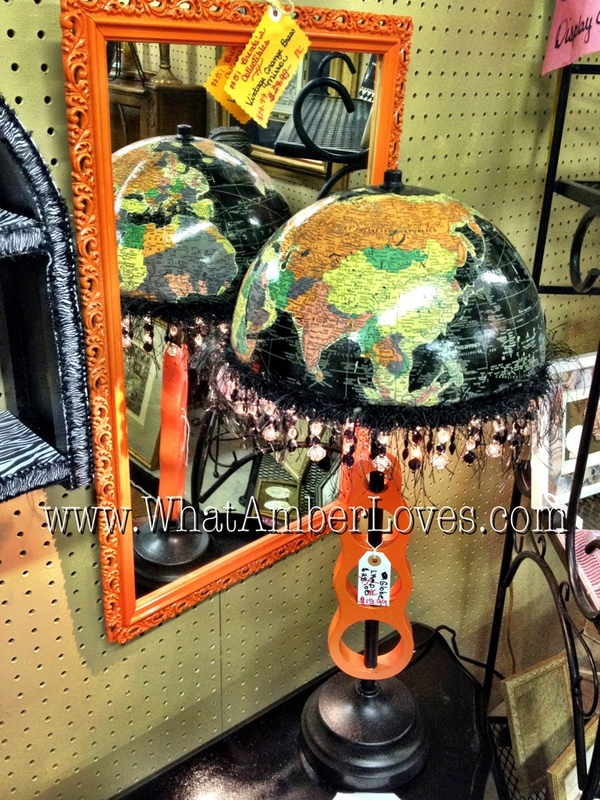 Use a hot glue gun to adhere trim/fringe. 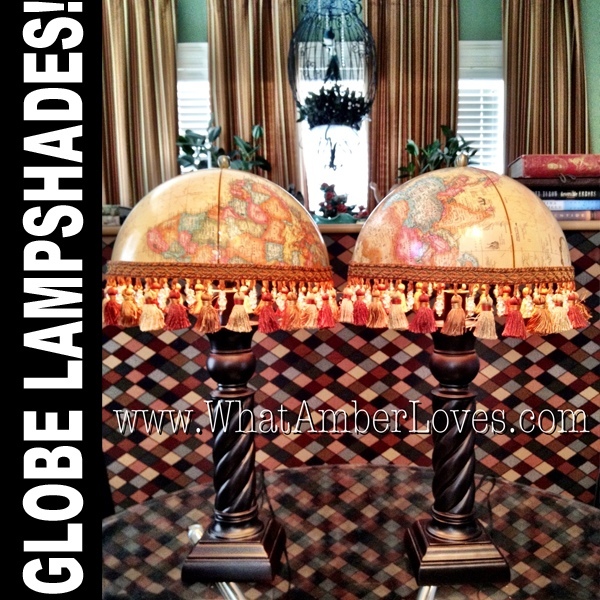 Drill a hole in the top, so that it secures between your lamp harp and finial. 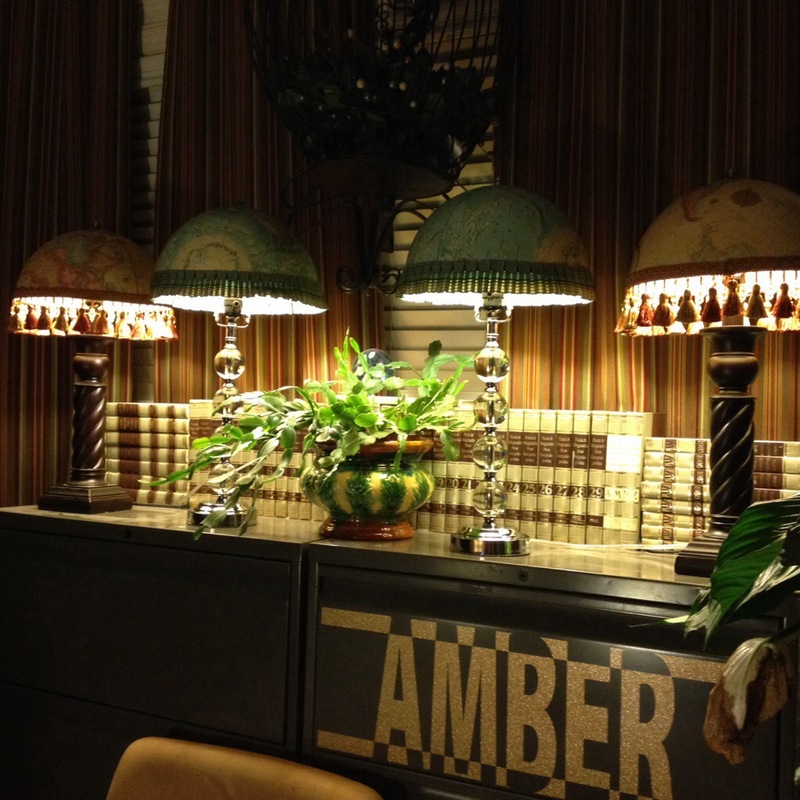 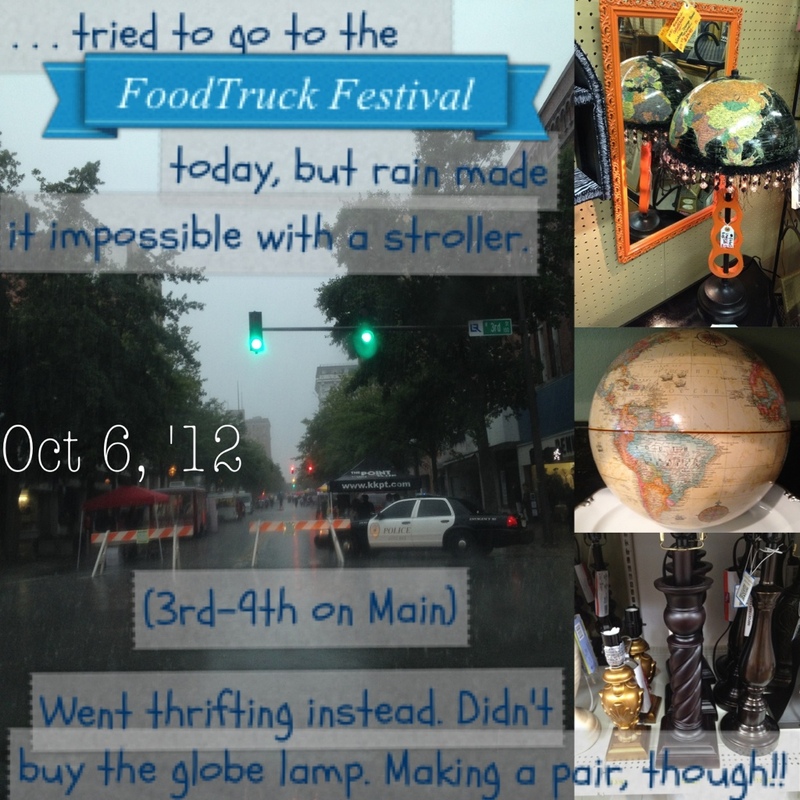 You’ve made vintage fun and funky! 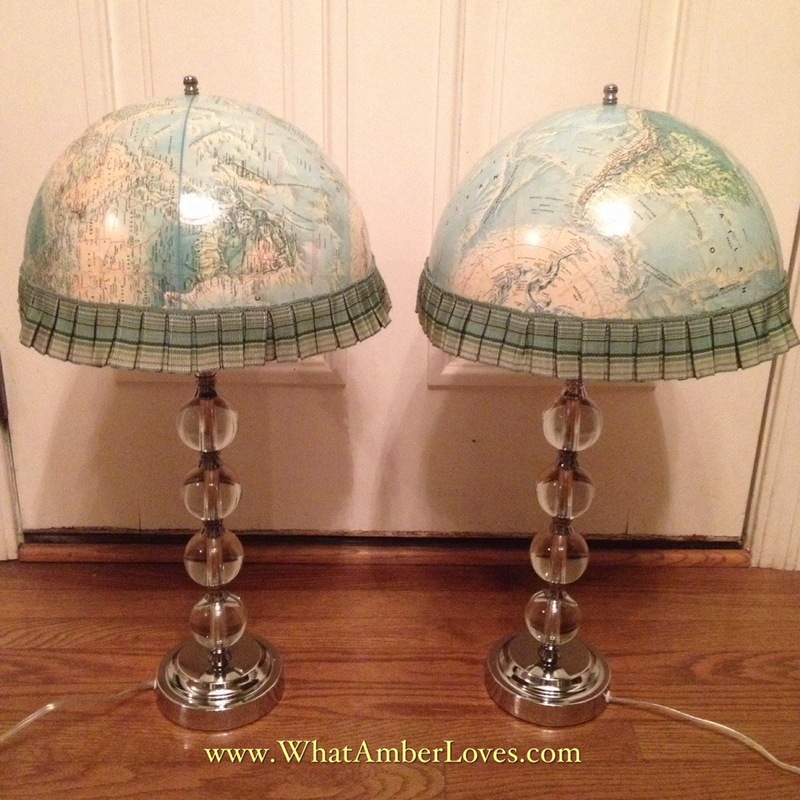 Have you upcycled anything recently? 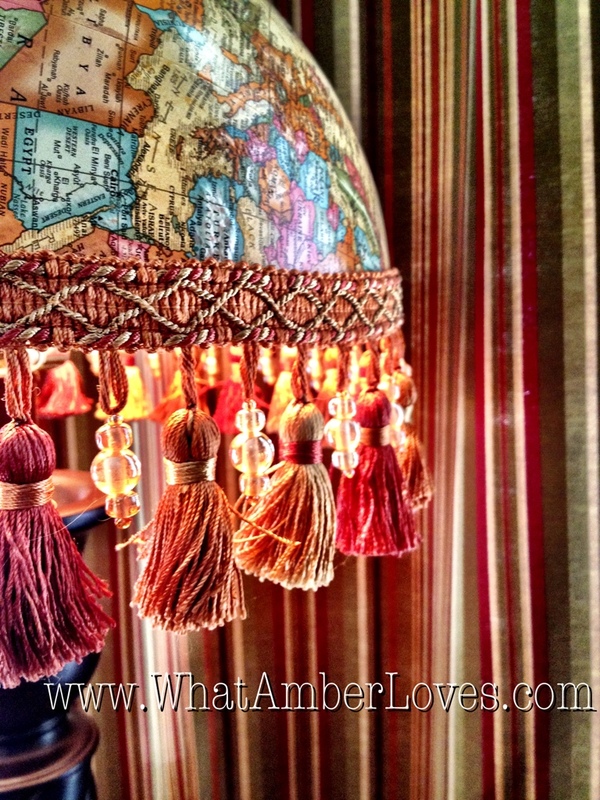 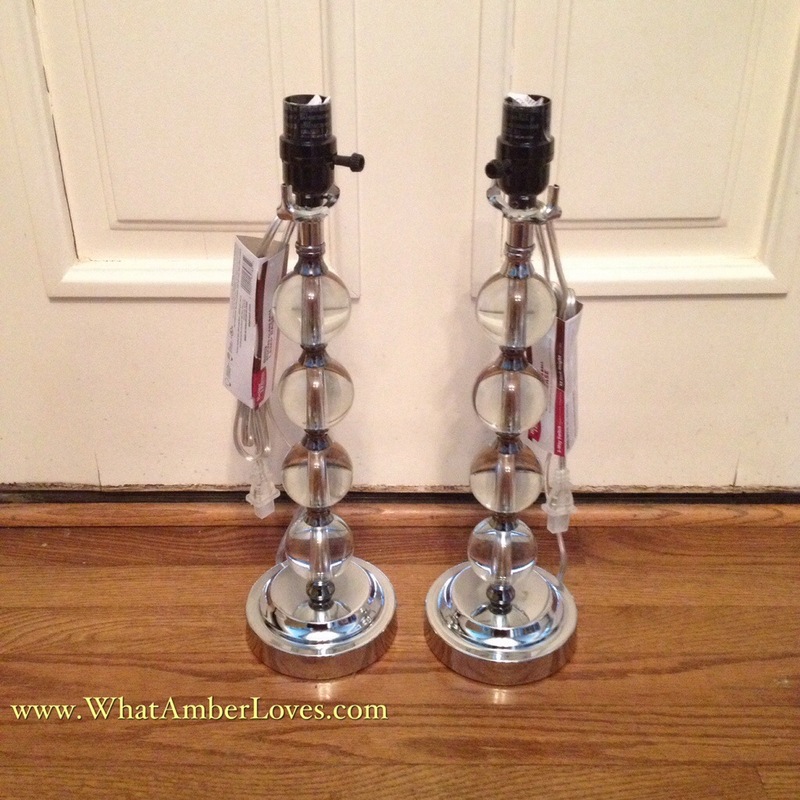 For more Upcycling and craft ideas, please visit my decor & crafts page!